I bought this piece for a special someone and it was absolutely gorgeous. The picture almost does it justice. Great gift. I got this for my wife and she loves it. I have 3 daughters who would love it also. I purchased this as a gift for my daughter. When it arrived I was blown away by it's beauty and uniqueness. While my daughter has a lot of fine jewelry, she especially likes the amber piece. What a lovely gift.....given to me by my older brother for Christmas....I am still in shock, as it is such a beautiful thought and the necklace is beautiful.....thanks to my brother for thinking of me in the year 2015.. 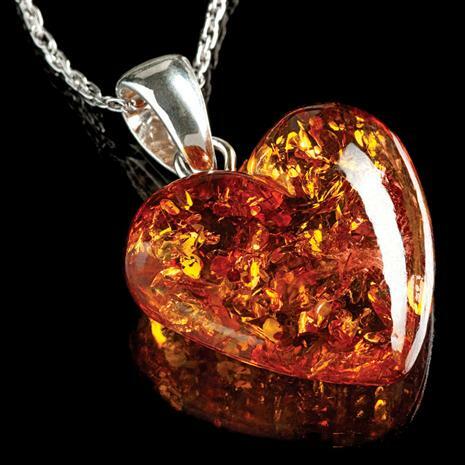 This Baltic Amber Heart Necklace is crafted from a vibrant piece of natural, honey-colored amber. 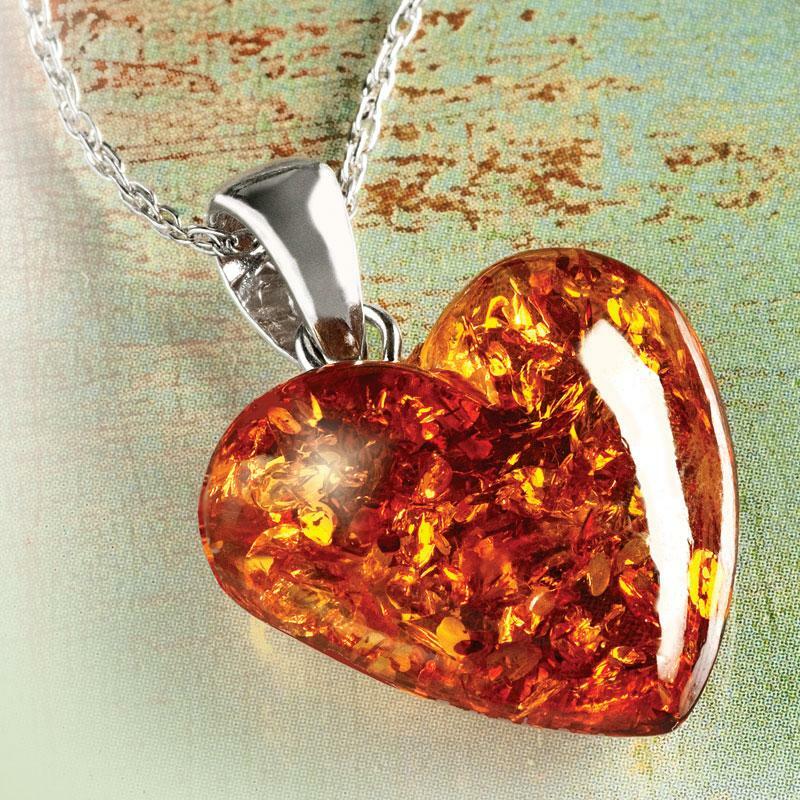 The smooth heart attaches to a shiny bail of .925 sterling silver (chain is included). Look closely and you cansee microscopic inclusions and bubbles that identify your pendant as a naturally-formed work of art. No two are alike.